Dydacomp’s Multichannel Order Manager and SiteLINK eCommerce solutions are jam packed with features to help facilitate order management, inventory management, order processing and more for multichannel merchants. However, many times M.O.M. and SiteLINK users do not utilize M.O.M.’s complete feature set. One great opportunity to receive hands on training on M.O.M. and SiteLINK functionality is at the Dydacomp training seminars. All are invited to join the next M.O.M. & SiteLINK training seminars being held at Dydacomp on April 25-27, 2012. The three-day training sessions are run by M.O.M. and SiteLINK experts who know the ins and outs. These experts will provide M.O.M. users tips that enable you to capitalize on your M.O.M. investment, learn more about M.O.M. 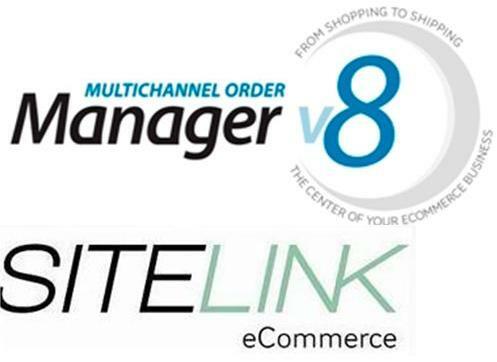 Version 8 newest enhancements, and master your eCommerce channel with SiteLINK. These training seminars have proven to be beneficial for our clients, especially those who only recently started using M.O.M.. Multichannel Order Manager and SiteLINK eCommerce clients who attended training have seen a significant decrease in the number of basic support tickets (how to questions) they opened and found they contacted Support only when they had more complex questions. 100% of the clients attending the most recent training agreed that they would recommend Dydacomp’s training to any client looking to gain a more comprehensive understanding of M.O.M. and SiteLINK eCommerce. The training offers real insight into the inner workings of Multichannel Order Manager’s features and how to use them to benefit your small business. Recent training attendee, Evie Redling from Trappistine Creamy Carmels, was able to gain a better understanding of M.O.M. for her small business out in Dubuque, Iowa. “We were able to learn about ACVM and how it would make my life a lot easier! If I would have taken this training before our busy time last year I would have saved myself a lot of stress and extra steps.” Trappistine Creamy Caramels is a small business run by a group of Cistercian Nuns who specialize in caramels (chocolate coated ones too), caramel sauces, Irish mints, Swiss mints and hazelnut meltaways. 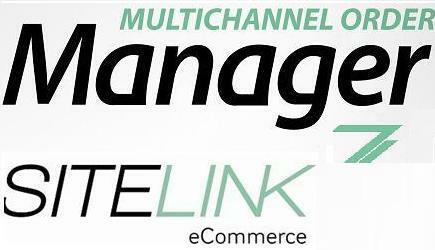 If you wish to increase your understanding and knowledge of Multichannel Order Manager and SiteLINK eCommerce, do not miss the opportunity to attend our training session on April 25-27, 2012. To register, fill out the registration form here or call Dydacomp sales at (800) 858 3666. We look forward to seeing you there! September Training is here: Have you registered? Dydacomp’s Multichannel Order Manager and SiteLINK eCommerce solutions include a variety of unique features and benefits that help multichannel merchants efficiently run their business. However, many times M.O.M. and SiteLINK users do not utilize all the features, such the Amazon and Ebay modules. One great opportunity to receive hands on training on M.O.M. and SiteLINK functionality is at the Dydacomp training seminars. All are invited to join the next M.O.M. & SiteLINK training seminars being held at Dydacomp on Wednesday September 14, 2011 through Friday, Sept 16, 2011. The three day training sessions are run by M.O.M. and SiteLINK experts who know the ins and outs. These experts will provide M.O.M. users tips that enable you to capitalize on your M.O.M. investment, learn more about M.O.M. Version 8’s latest features and master your eCommerce channel with SiteLINK. Learn how to capitalize on M.O.M.’s modules to run your eCommerce business more efficiently. These training seminars have proven to be beneficial for our clients, especially those who only recently started using M.O.M.. Multichannel Order Manager and SiteLINK eCommerce clients who attended training have seen a significant decrease in the number of basic support tickets (how to questions) they opened and found they contacted Support only when they had more complex questions. If you wish to increase your understanding and knowledge of Multichannel Order Manager and SiteLINK eCommerce, do not miss the opportunity to attend our training seminar Sept 14, 2011 through Sept 16, 2011. To register, check out the registration form here or call Dydacomp sales at (800) 858 3666. We look forward to seeing you there! Dydacomp’s Multichannel Order Manager and SiteLINK eCommerce solutions are jam packed with features and benefits that help multichannel merchants efficiently run their business. However, many times M.O.M. and SiteLINK users do not utilize all the features. One great opportunity to receive hands on training on M.O.M. and SiteLINK functionality is at the Dydacomp training seminars. All are invited to join the next M.O.M. & SiteLINK training seminars being held at Dydacomp on June 8 – June 10, 2011. The three day training sessions are run by M.O.M. and SiteLINK experts who know the ins and outs. These experts will provide M.O.M. users tips that enable you to capitalize on your M.O.M. investment, learn more about M.O.M. Version 7’s newest enhancements, and master your eCommerce channel with SiteLINK. These training seminars have proven to be beneficial for our clients, especially those who only recently started using M.O.M.. Multichannel Order Manager and SiteLINK eCommerce clients who attended training have seen a significant decrease in the number of basic support tickets (how to questions) they opened and found they contacted Support only when they had more complex questions. Recent training attendee, Evie Redling from Trappistine Creamy Carmels, was able to gain a better understanding of M.O.M. for her small business out in Dubuque, Iowa. “We were able to learn about ACVM and how it would make my life a lot easier! If I would have taken this training before our busy time last year I would have saved myself a lot of stress and extra steps.” Trappistine Creamy Caramels is a small business run by a group of Cistercian Nuns who specialize in caramels (chocolate coated ones too), caramel sauces, Irish mints, Swiss mints and hazelnut meltaways. Take a minute to check out their SiteLINK eCommerce website at www.trappistine.com. If you wish to increase your understanding and knowledge of Multichannel Order Manager and SiteLINK eCommerce, do not miss the opportunity to attend our training seminar June 8-10. With tax season and Dydacomp Multichannel Order Manager (M.O.M.) and SiteLINK training right around the corner, I thought it would be helpful to share with you the top 3 VITAL accounting tips in M.O.M. These are just a snippet of the valuable information clients here at Dydacomp are able to take away from the training session. 1. MAKE A BACKUP: Always make a backup of your M.O.M. system before you post to your accounting package. This is the only way you will be able to recover your accounting information after your post is complete. If an error occurs during the posting process, flags are enabled on the tables and you will NOT be able to resend the information again. Making a backup will allow you to recover the information. The backup process only takes a few minutes, but will end up saving you hours, even days, of time and stress if an error arises. 2. Print Sales Receipt Report and Journal Activity Report prior to posting to your accounting package. These reports can be printed on command, but will offer a reference point to check the integrity of your accounting information. 3. Depending on your accounting package setup, the General Ledger Journal Entry Report (if available) will only be generated once so printing it the first time around is the only option. You will not be able to recreate the exact same report. If you found these accounting tips helpful, you should consider signing up for our Dydacomp training with M.O.M. and SiteLINK experts. Join us for the next M.O.M. & SiteLINK training seminars being held by Dydacomp on April 6 – April 8, 2011. These training sessions offer insight into the latest M.O.M. features, and the classes are a must for any business looking to capitalize on their M.O.M investment, learn more about M.O.M. Version 7.0’s newest enhancements, and master SiteLINK. These training seminars have proven to be beneficial for our clients, especially those who only recently started using M.O.M. If you are new to M.O.M., you will be able to learn all the various ways you can use M.O.M. and SiteLINK effectively to improve your business efficiency. Clients who attended training saw a significant decrease in the number of basic support tickets (how to questions) they opened and found they contacted Support only with more complex questions. To Register, check out the registration form here, contact your sales representative or call Dydacomp sales at (800) 858 3666. I look forward to seeing you there! Do you wish you had the opportunity to sit down with M.O.M. experts and learn the details that will help you optimize your use of Multichannel Order Manager? Well you are in luck as we are quickly filling seats for the two and half days of M.O.M. training plus an additional half day SiteLINK training as well! “The Getting the Most from M.O.M” training is quickly approaching on January 19 – 21 and the deadline for registration is even closer on January 7th. The training sessions will be held at our offices in Totowa, NJ and we provide you with coffee and breakfast to start off the morning right and lunch in the afternoon each day. Our staff has designed the training to include in-depth topics ranging from simple customer entry to more complicated accounting and order processing tips. Our goal is to provide you with hands-on training with the software that will then enable you to capitalize on your investment and get the most from all of M.O.M.’s useful features. The training is especially beneficial to those who have only recently started using M.O.M. If you are new to M.O.M., you can learn effective business practices to start running your business more efficiently. Even if you have been using M.O.M for some time, you will definitely be surprised to see what new tips and tricks you can learn from our experts. It has been proven that the Dydacomp customers that attended at least one Dydacomp training event are conducting 18% more business than those that have not. The ½ day SiteLINK Training Seminar on January 21 is perfect for any level M.O.M. user who is looking to develop the skills necessary to build and maintain a SiteLINK powered store online. SiteLINK staff will be on hand to help you with any questions or advice you need! The training follows a schedule of topics to cover, but there is plenty of time for you to ask questions throughout the training. We encourage all training attendees to bring personal questions as our staff will be available to work with you to answer those questions during breaks or even after the training is over each day. If you are interested in attending the M.O.M. and SiteLINK training on January 19-21, please contact your sales representative or call Dydacomp sales at (800) 858 3666. I look forward to seeing you there! Dydacomp is expanding our communication channels for our customers, and those that are interested in becoming part of the Dydacomp family. We are proud to announce we have created a YouTube account. Our most recent video is an overview of Mail Order Manager Technical Support. We have uploaded some other videos to the account, and plan to continue to build out more content. Our objective is to have videos that not only give you an overview of what we do at Dydacomp, but also provide you with videos that give you tips and train you on the software. We notice that when you are a supported customer and we provide training services, your business does better. The YouTube videos we will be creating are going to be developed as a training aide for you, in addition to our webinars that can be found on the Support section of our website. Another thing to remember, we host training seminars multiple times a year for you to attend in person or remotely. When you visit YouTube, don’t forget to subscribe so you can easily find the new videos as we post them. This past week, Dydacomp hosted a client Mail Order Manager and SiteLINK eCommerce Training Seminar in our office. Clients that attended ranged from those that have used Mail Order Manager for years to some that had not even opened the box yet. During the session, one of the clients grabbed my attention to tell me the webinars on the Technical Support section of our website have been a great tool to help them start using M.O.M. Overhearing our conversation, another client asked where these webinars can be located. This person explained to me they were a recent hire for a company that has been using M.O.M. for years, and any additional training assistance we could offer would be helpful. I then explained to the training class, the webinars are located on the Mail Order Manager Technical Support section of our website and in our Online Knowledge Base. One of the clients then advised me they received an error trying to view the archived webinars. I informed them they must use an Internet Explorer web browser to view a webinar. The clients were very happy to see we put this helpful material out there for them to view in case they miss a live event.